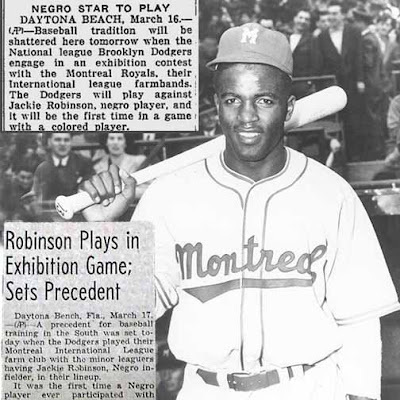 Jackie Robinson is an important theme for the Dodgers this season; especially considering the upcoming unveiling of an Robinson statue at the stadium later this year. Therefore, it is of note that today is the 70th anniversary of his first professional ballgame. 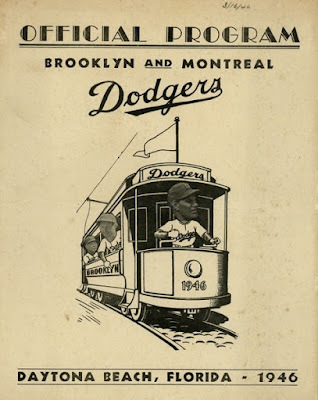 It occurred on March 16, 1946, and it was a exhibition game between the Brooklyn club and the Jackie led Montreal Royals (the Dodgers top farm team at the time) at the City Island Ballpark in Daytona Beach, Florida. 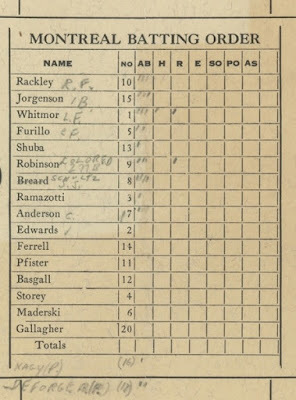 Thankfully due to an series of tweets by Baseball fanatic Keith Olberman we get an up-close look at an official scorecard of the event. Check out the front cover at the top. Even more incredible, though, is a look at the scorecard itself. You can see that below. As you can see, Robinson batted sixth in the order and he played second base for the Royals. 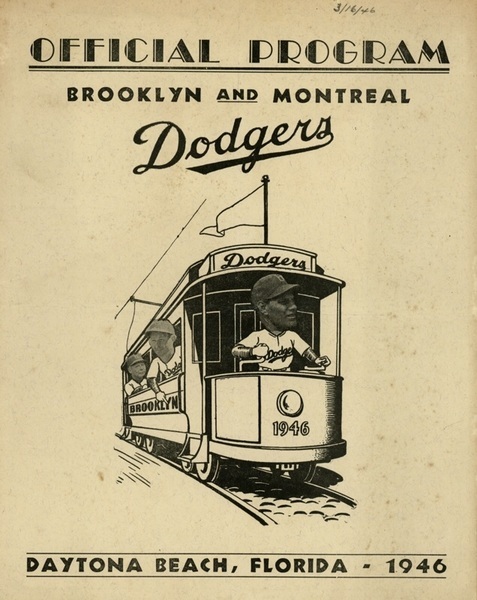 Unfortunately, I have been unable to find a boxscore for the game (or a detailed description of it), so if you run across something please let me know. The below scorecard does say that Jackie got up to the plate three times and scored a run. 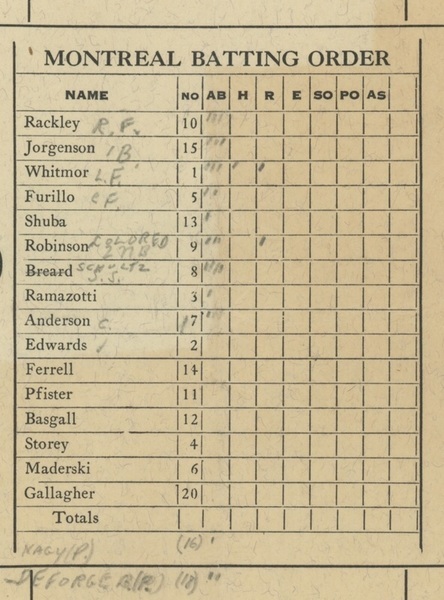 Also of note, the original owner of this scorecard made an interesting notation by Jackie's name. Written in pencil is the word "colored" -- a term commonly used at this time in reference to African-Americans. BTW, as I did a bit of research on this event I came across a Wikipedia entry that said this game actually occurred on the 17th, not 16th -- with a footnote from a source I was not familiar with. Of course, who are ya going to believe -- a Wikipedia entry or Olbermann?